When I think of the phrase “As Seen on TV”, I instantly think of products pitched by guys like Vince Shlomi (The Sham Wow), Rod Popeil and all those Ronco products, and of course the late Billy Mays selling me KaBoom and OxiClean. All too often however, those products didn’t always live up to their billing. renovation and home finding shows. And just like those “As Seen on TV” products, the “reality” of those TV reality shows is anything but real. Just do a quick Google search and you will find tons of articles regarding the authenticity of many of the HGTV shows. We encourage buyers to meet with us in the office before we look at houses in person. We conduct an in-depth interview to make sure we understand what our buyers are looking for in a home. After the interview is complete, we will search the MLS together with the client to identify our initial homes to preview in person. When we use this collaborative approach, we can usually find the right home in the first 10 or so we look at. This saves time for our buyers. We have found that using a hit and miss approach of randomly looking at homes that buyers find on-line can lead to showing 20-30 or more homes and just confusing and frustrating home buyers. Can you find your next dream home by just looking at 3 homes? Of course! Almost always, you will know it’s your new house the minute you step inside the front door. 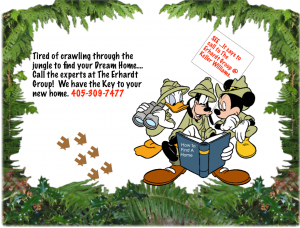 If you are in the market to buy, our specialized buyers agents will help take the frustration out of your home search. Who isn’t inspired by the shows that show someone buying a home, doing a quick renovation, and then selling the renovated home for a big fat profit. We work with many real estate investors, and we are investors ourselves. Here is the “reality” of remodeling in real life. *Something will break the budget! *It will take you longer than you expect! *Margins will be tighter than you hope! *You probably won’t have multiple offers the first day you put it on the market! Can you make money renovating homes? ABSOLUTLEY! We have several tools that can help you find and analyze homes to renovate for profit. So next time you watch those home finding and renovation shows on TV, remember, things aren’t always “As Seen On TV”. Will that stop us from watching all those fun shows- NEVER!